Over the past three decades, The Weiss Gallery has made many notable sales, which now grace distinguished private and public painting collections around the world. We encourage you to visit our splendid gallery, which is located at 59 Jermyn Street, in the heart of the prestigious St James’s district. Built at the turn of the 20th century, our gallery is thought to be the only purpose-built gallery space that remains in St James's. One of the most attractive elements is the original sky light in our Long Gallery. 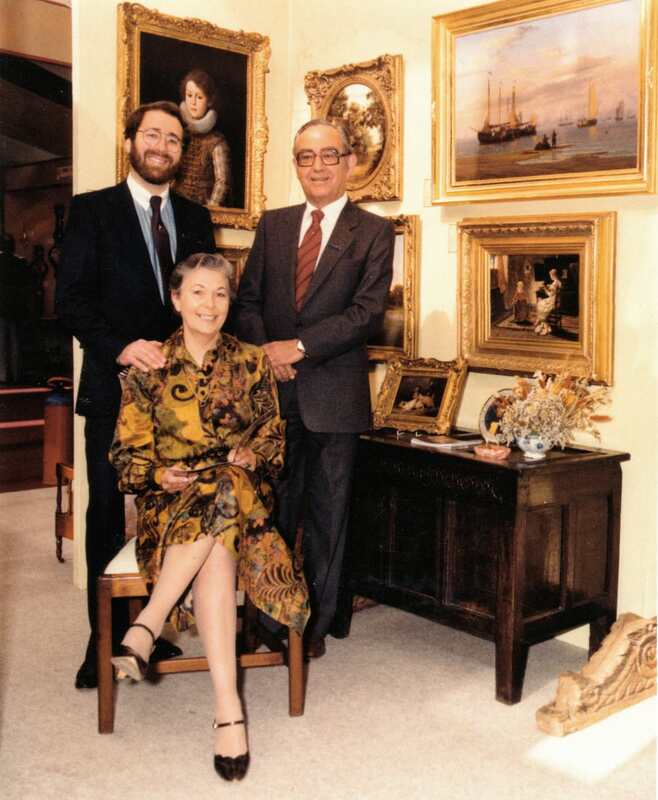 My career began in 1972, when I started work in my parents' gallery, Ivor and Joan Weiss. My mother and father were artists who had drifted into art dealing in the early 1960s, building up a very successful business with an art gallery in the town centre of Colchester. At the height of their success, my parents had a staff of sixteen people working for them. Their market was primarily Victorian paintings, yet I was drawn to, and always made a point of buying, sixteenth and early seventeeth century portraits. My first notable discovery came in 1977 with a portrait of a young girl identified as Elizabeth of Bohemia, which had come from a distinguished private collection in Suffolk. It turned out to be the earliest known portrait of Queen Christina of Sweden, dating from 1634, and we were able to sell it to the National Museum of Fine Arts in Stockholm. The next significant discovery was in 1984 when having bought a striking late Elizabethan panel portrait of an unknown lady, it was identified by Sir Roy Strong, then director of the V&A, as a work by the Elizabethan court painter George Gower. Sir Roy's support enabled me to sell the painting the Art Gallery of South Australia in Adelaide. By this time it was clear to me that our family business in East Anglia had reached the limit of its potential, and that to expand we needed to be in the heart of the London art market. If we were to have any chance of success, this new gallery would have to have a unique area of specialisation in order to compete and stand out from the rest - and so the concept of the Weiss Gallery was born. My vision was to open a gallery dealing exclusively in Tudor and Jacobean portraits, building on my earlier successes. The business was launched in 1985 with money raised under the Thatcherite Business Expansion Scheme (or BES) which enable individuals to invest up to £40,000 in a new start-up company and write it off against the then high tax rate of 60%. So that autumn, having raised £600,000 through the blue-chip stockbrokers W. Greenwell & Sons, The Weiss Gallery began its life as a PLC and a new shell premises was acquired in Mayfair at 1b Albemarle Street. As with all building projects, the work took far longer than anticipated and the gallery did not formally open until April 1986. Sadly my father did not live to see this proud day, having died suddenly of heart disease two months earlier aged only sixty-seven. Therefore I was very much reliant in the early years for the strong support of my mother and also my sister Debra, who together undertook much of the picture restoration, invaluable work which Debra continues to do to this day. The gallery in Albemarle Street was quite small and indeed quite awkward on the basement level, however our designer made the most of what space we had and most importantly, he created a very beautiful and eye-catching bronze shop front, which was particularly effective when lit at night. I was very proud when my business got off to a flying start with the very first sale made to the Tate, a noble and magnificent portrait by Gilbert Soest. For the first few years, I relied a great deal on the expertise and friendly advice that I received from Sir David Piper, who was employed as my art advisor. David, or Pete as he was known to his closest friends, had just retired as Director of the Ashmolean Museum in Oxford, and prior to that had been Director of the National Portrait Gallery and subsequently the Fitzwilliam Museum in Cambridge. I could not have asked for a better mentor; he had a brilliant eye and was a conscientious scholar. He was also incredibly gentle and kind, freely sharing his knowledge with me. Unfortunately, his health was to be increasingly compromised by emphysema which ultimately left him bed-ridden, and so I used to have to carry paintings up to his bedroom for him to see. His death in 1990 was, in its ways, as sad to me as the death of my own father. My first major client as Bruce Toll, who lived in Philadelphia and made his fortune as the largest builder of executive homes in America. His initial purchase in 1987 was one of my early important discoveries, a hitherto undocumented child portrait by William Larkin that I had bought from Christie's in New York as 'English School'. This beautiful image subsequently graced the front cover of Roy Strong's monograph on the artist published by Franco Maria Ricci in 1993. Over the next few years Bruce went on to buy a number of my most important pictures, including works by Cornelius Johnson and Robert Peake, as well as a remarkable late Elizabethan three-quarter-length of Mary Fitton. The first five years, as perhaps to be expected, were not easy. Apart from the pressure of endeavouring to build up the business in the very new for me and highly competitive London art market, I was answerable to my outside co-directors and shareholders for its success, or more worryingly, the occasional lack of it. I have always been a very independent person and the pressure of working within the confines of a corporate business eventually came to a head over what proved to be a seminal acquisition. 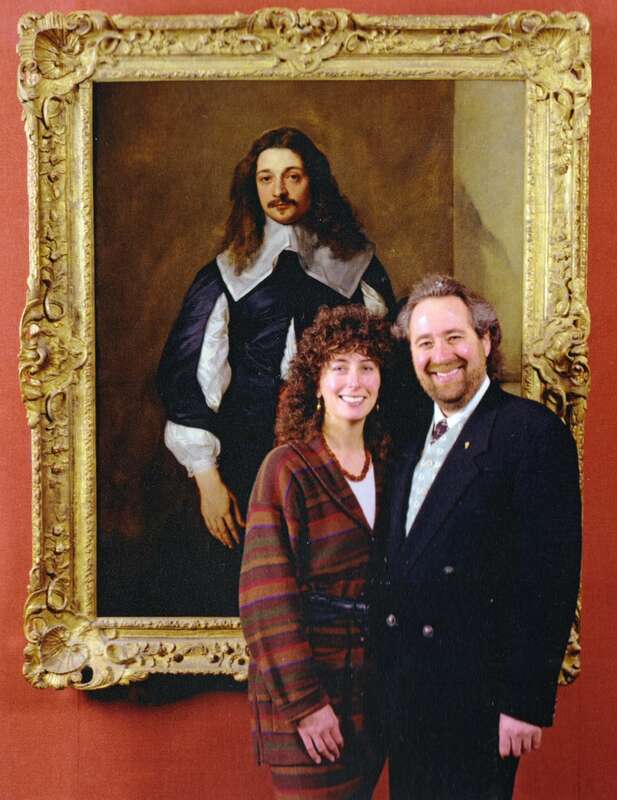 In November 1989, a ravishing portrait by Robert Peake came up for auction which had been identified as one of the Pope family, and which had formerly been part of the great collection that once hung at Wroxton Abbey. Estimated at £80,000 - 120,000, I bought the painting against a competitor in the trade for £200,000. Fortuitously, my subsequent research revealed that it was a highly important portrait of Elizabeth Stuart, later known as the 'Winter Queen'. As a result I was able to sell the painting for £300,000 to the National Maritime Museum. It was to hang in the newly refurbished Queen's House at Greenwich, which was formally opened by Her Majesty in the summer of 1990, where I even managed to meet her. 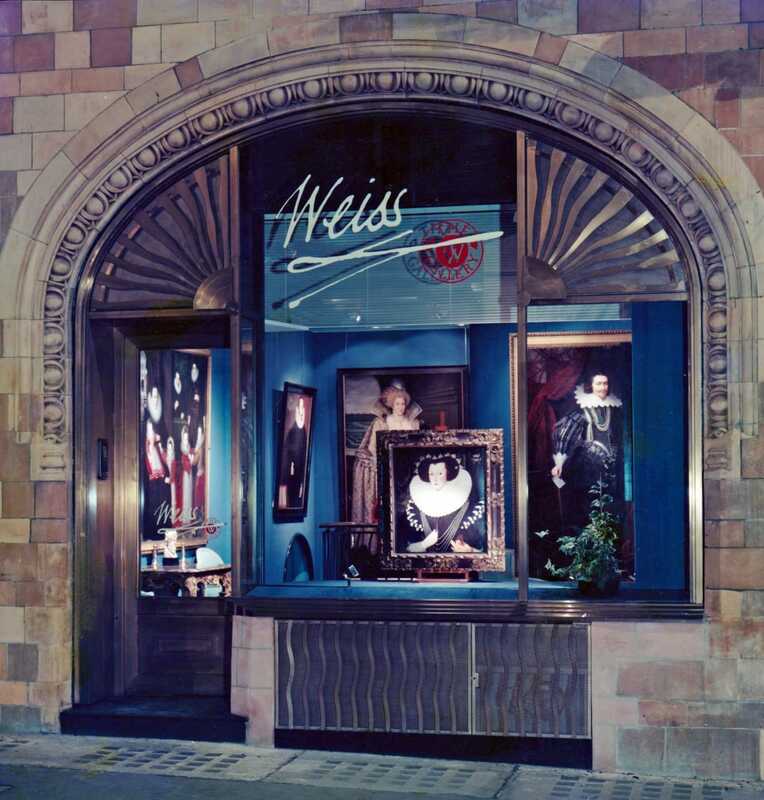 At this point, 'The Weiss Gallery PLC' became 'Mark Weiss Ltd'. The start of this new decade and new direction for the gallery was marked by another substantial sale, that of a very rare early family group portrait by the sixteenth century Bruges painter, Anthonis Claessins. This was purchased by the Shakespeare Birthplace Trust for one of their properties in the bard's home town of Stratford-upon-Avon. It is also the period when I met my next significant client, Frederick W. Hughes - and what an extraordinary, unforgettable man he was. In truth, I found him rather intimidating; he had a witheringly quick wit, a brilliant mind and profound knowledge of English history and its nobility, allied to a very acerbic sense of humour that sometimes verged on cruel. An arch socialite, Fred had been Andy Warhol's business partner and upon Warhol's death in 1987, he became the sole executor of his vast artistic estate from which he created the immensely powerful Andy Warhol Foundation for the Visual Arts. Like Warhol, Fred was a compulsive collector and his ivy-covered town house on the Upper East Side of Manhattan, which he called 'Hotel Anglomania', was stuffed to the gills with the most extraordinarily eclectic objects: Russian Empire vying with early American furniture; a collection of bat skeletons mixed with Native American art and early Mickey Mouse models; my early portraits hung with Orientalist works, and, of course, the obligatory Warhols. Sadly, by the time I came to know him well, he was increasingly crippled by multiple sclerosis, the disease which was ultimately to kill him. However, in a buying spree that only lasted a few years, Fred acquired some wonderful paintings from me including a masterpiece by John Michael Wright, and a highly important portrait of James V of Scotland by Corneille de Lyon. 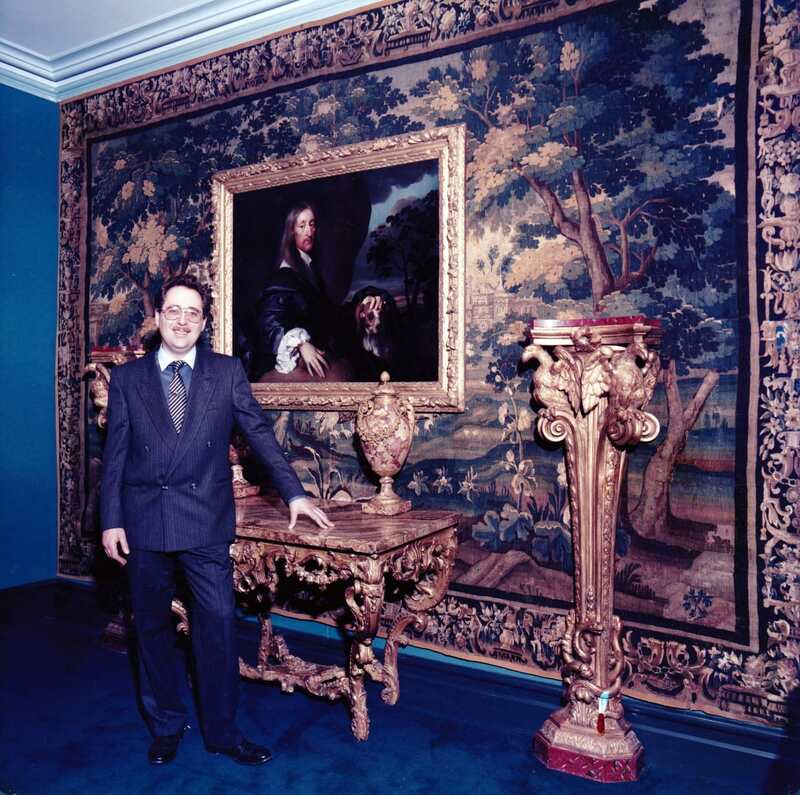 Some of my most memorable experiences I had with Fred included the last time he visited London in 1991 when he decorated his suite at the Ritz with five paintings that he had 'borrowed' from my gallery. On the day of his departure, I went to collect them to be waved away with an imperious gesture and a curtly barked comment not to touch his paintings - and thus he bought them on the spot! The following year, on a trip to Paris, staying at Le Meurice, he invited me to join him for breakfast in his suite. I arrived to witness that Fred had literally ordered everything on the breakfast menu, delivered by a phalanx of waiters pushing trolly after trolly in to the room... and, whilst I ate like a king, he barely touched a thing. Such extravagance would strain any wallet, and to his assistant's dismay, American Express stopped his card, and I had to assist in settling the bill. By 1993, Fred's illness was such that he ceased to be an active buyer, and indeed in the years leading up to his death in 2001, and in the subsequent estate sale, I bought back the majority of these works and sold them on to other collections. Around this time, I also became good friends with Jim Welu, Director of the Worcester Art Museum in Massachussets, and within a short period he had acquired two remarkable works. The first was a rare Elizabethan three-quarter-length of John Franham by Steven Cornelisz. 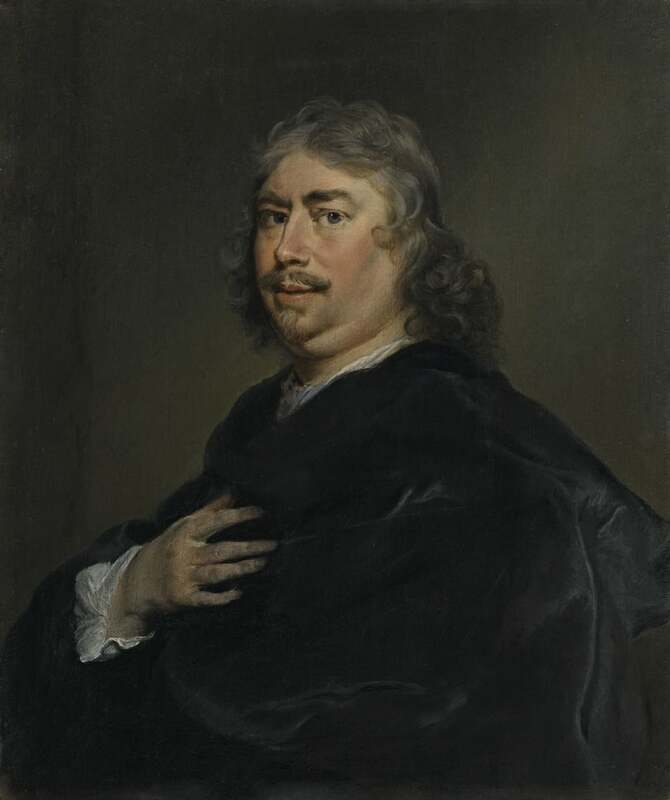 van Herwijck, and the second was an intimate small-scale portrait by Frans Hals of his friend, the painter Frans Post. 1995 was a significant year as it saw the opening of 'Dynasties', the Tate's first exhibition dedicated to early British painting for over twenty-five years. The last, in 1969, had been Roy Strong's hugely acclaimed show, 'The Elizabethan Image'. In 1991, I had been approached by Nick Serota, the Tate's Director, to ask if I could help raise some funds to assist in financing a new curatorial position dedicated to Tudor and Jacobean painting, and the curator's first task was to prepare and curate this new exhibition. I made a small personal donation, and managed to persuade Fred Hughes, through the Warhol Foundation, to give a substantial one. All of which helped fund the appointment of Karen Hearn, who became the curator of sixteenth and seventeenth century painting. It was only natural that I should want to put on my own exhibition to coincide with the opening of Tate's, and Roy very kindly agreed to assist with my show. Looking back on it now, I am quite proud of the impressive selection of portraits that I gathered together which were part loan, and part for sale. Included were important royal portraits of Henry VIII (sold to The Peter Moores Foundation), Edward VI, Elizabeth I (loaned from Hever Castle), Anne of Denmark (sold to the National Maritime Museum), and ELizabeth of Bohemia, as well as James V and James VI of Scotland (sold to Historic Scotland). The most noteworthy painting was a magnificent late Van Dyck of Pompone de Bellievre, who had been the French Ambassador to London. 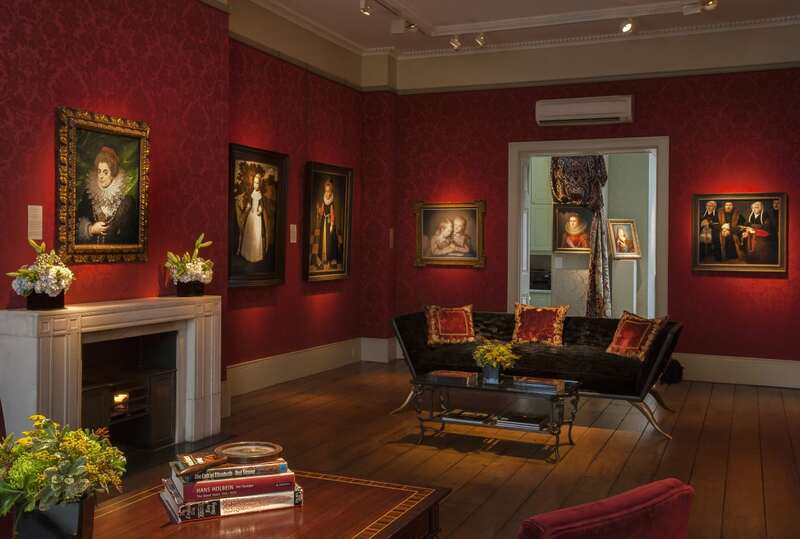 The Van Dyck was a great discovery, both for the ambition and sitter, and in order to assist in maximising its potential, I brought in as a partner Tim Bathurst and his gallery, Artemis, which was based in Duke Street, St. James's. Tim, who sadly died in 2009, was a doyen of the art trade and a man whom I hugely admired for his integrity and connoisseurship. Above all, over the years he had proven to be a great and incredibly supportive friend and I trusted him implicitly. 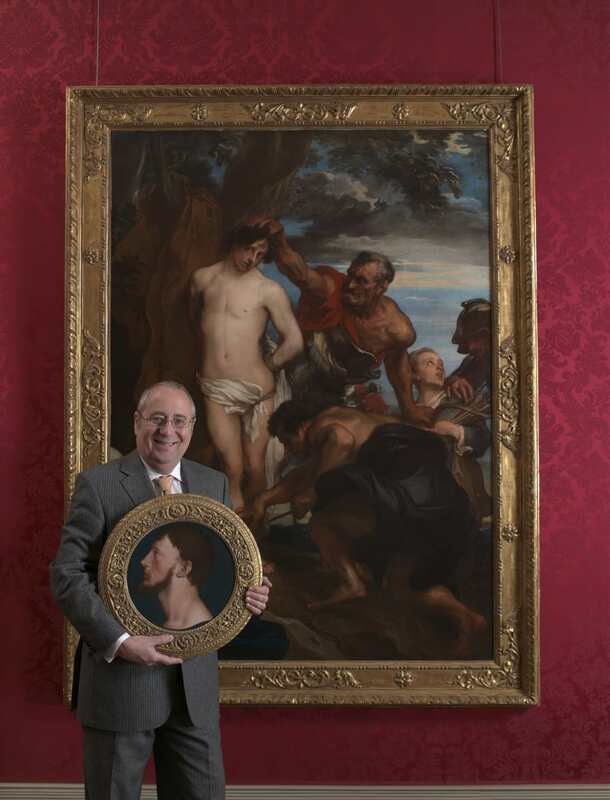 Sure enough, with his assistance, I achieved a brilliant success with the Van Dyck. It sold to the Seattle Art Museum in October 1997, for just under two million dollars - at that time, easily the biggest deal of my life. Earlier that year I was invited by Rex Irwin to put on a selling exhibition in his gallery in Sydney, Australia. Though it was a risky gamble, as Rex's business was predominantly contemporary indigenous artists, it was a tempting opportunity. I had a huge stroke of luck on the eve of the opening. Since my reputation as a passionate collector of great Burgundy wine had preceded me, I was invited to a tasting dinner where one of the other attendees informed me that the sitter in my Elizabethan portrait of Frances Reynell was an ancestress of his. His family had been one of the earliest settlers in Adelaide, establishing one of the first commercial vineyards in Australia, called Chateau Reynella, which still exists today. This exciting news made it very easy for me to convince Ron Radford, the Director of the Art Gallery of South Australia, to agree to buy the painting. This sale, combined with a few others, encouraged me to return two years later, and again the show was a success. However, a third visit during the Sydney Olympics in 2000 was a disaster, and my show had virtually no visitors - art and sport do not mix! The summer of 2001 was a time of great joy for me, as after a life of bachelordom, I married Catherine in August 2001, in New York's Central Park, with six friends as witnesses. My new wife was now to join me working in the gallery, and it is largely due to her tremendous organisational skills that I have subsequently been able to grow the business as much as I have. Mention must be made of Jasper Conran who, in a short burst of activity in the late 1990s, bought a number of early English portraits from me, including works by Robert Peake and William Larkin. Subsequent publicity for his exquisitely designed homes, displaying my paintings in interiors with a striking contemporary edge, proved to be important in showing clients that you do not need a period setting to display early portraits. With my business growing ever more successful, it became clear that the gallery in Albermarle Street was too cramped. Though it had served me well for nearly twenty years, it was now time to look for larger premises, and again, as so often has happened in my life, a confluence of events conspired to assist me. First was the lucky purchase in 2002 of an unrecognised masterpice in Sotheby's first Old Master auction to be held in Paris. Mistakenly catalogued as a copy, and missed by all, I bought for £40,000 a full-length portrait of Louis XIII by Frans Pourbus the Younger. The painting, which was clearly signed and dated, was in virtually pristine condition and on an unlined canvas. What nobody, including the then curator of the Louvre, had failed to notice, was that the so-called original, which was in the Pitti Palace in Florence, clearly depicted the sitter at a slightly older age, even leaving aside the obvious subtle changes in the design. Research subsequently proved that my painting was the original, likely commissioned as a marriage portrait to be sent to Spain, and that the Pitti portrait was a later, second version. The painting sold quickly in 2003 to the Cleveland Art Museum for £650,000. This sale coincided with the opportunity to acquire 59 Jermyn Street, one of the greatest and most prestigious gallery spaces in London. Formerly the home for some forty years of the renowned Old Master dealership, the Heim Gallery, it had been occupied for the last ten years by the eminent sculpture dealer Danny Katz. Deciding that he wanted to move to Old Bond Street, Danny approached me thinking I was the best person to take it over. In truth, though I was flattered, I was somewhat intimidated at the prospect of taking on a gallery with such a quantum increase in scale. However, instilled with the confidence of the Cleveland sale, I was excited at the prospect and eventually, after a somewhat fraught negotiation, we successfully closed a deal. With the contracts signed, I could not believe my good fortune. This was followed by yet more good news, when we received an invitation to exhibit the following year at TEFAF in Maastricht, the greatest art fair in the world. We have been successfully exhibiting there ever since, putting on what is widely regarded as one of the most dramatic displays in the Old Master section. 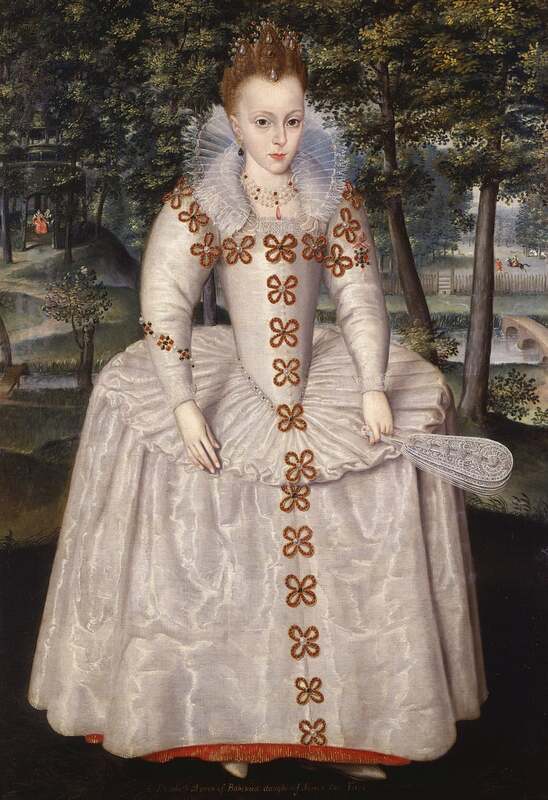 In recent years, due to the ever diminishing supply of good examples of Elizabethan and Jacobean portraits, I have taken an increasing interest in French, and in particular, Flemish portraiture, and I'm proud to have handled some undoubted masterpieces such as Jean Clouet's portrait of Francois I's daughter, Madeleine of France, and the highly significant sale of Sir Anthony van Dyck's 'The Martyrdom of Saint Sebastian', which was purchased by the Spanish government and restituted to its former home in the royal collection at the palace of the Escorial. In 2011, I had the unrepeatable opportunity to acquire the majority of the most important early British portraits from the contents of the sale of Cowdray Park held by Christie's, combined with portraits that were sold by Sotheby's as part of the last remnants of the Earls of Elgin and the Marquesses of Ailesbury's great collection at their ancient Savernake estate in Wiltshire. With the spectacular full-length portraits of the 'Howard Ladies', including Peake's masterpiece of Catherine Carey, Countess of Nottingham, and the opportunity to handle the famous full-length Ditchley portrait of Henry VIII, from the collection of Sir Henry Lee (1533 - 1611), the ensuing Tudor and Stuart exhibition I put on in my gallery and on our stand at TEFAF in 2012, was a magnificent moment. 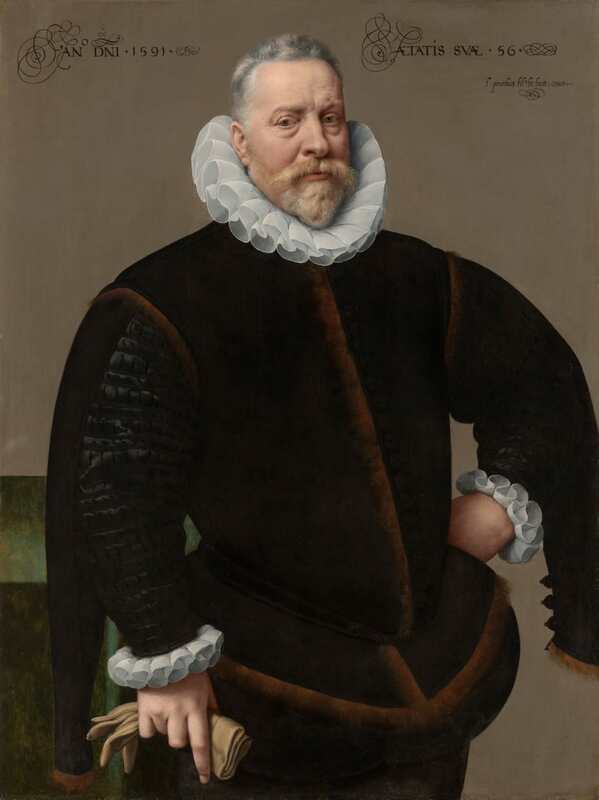 My love of the Flemish artist, Frans Pourbus the Younger, led me to put on a dedicated exhibition of portraits from across the artist's career, at TEFAF in 2015. I had the privilege of exhibiting eight of his portraits, and never before had so many works by the artist been privately assembled and exhibited. Only the collection of the Uffizi and Pitti Palace, with ten, had more. I sought to demonstrate the significance of Pourbus's artistic legacy, as an important bridge between the more introspective 16th century Flemish tradition of meticulously painted realism, and the broader brushwork and theatrical vision of the 17th century Baroque. With exquisite early works such as his masterpiece of a 56 year-old man, now on loan to the Kunsthistorisches Museum in Vienna, and stunning portraits of Margherita Gonzaga, Louis XIII and Elisabeth of France, it was a tour de force. I continue to champion the work of Pourbus, and today have two of his Unknown Beauties gracing the gallery walls. With the success of the Pourbus show, in 2016 I put on the first ever large-scale exhibition dedicated to the painter, Cornelius Johnson - another artist who deserves due recognition in the public eye today. Johnson's name perhaps has little everyday resonance, but his paintings themselves have a visual familiarity thanks to the many portraits which grace our great country houses and collections, be they National Trust or English Heritage. Truly, Johnson was painter to King and country, and his long career, ending in the Netherlands, deserves greater attention. The exhibition gave me the opportunity to borrow back not only paintings that had particular significance during my career, but also loans of rarely seen works from museums and private collection across Britain, Europe and the USA.